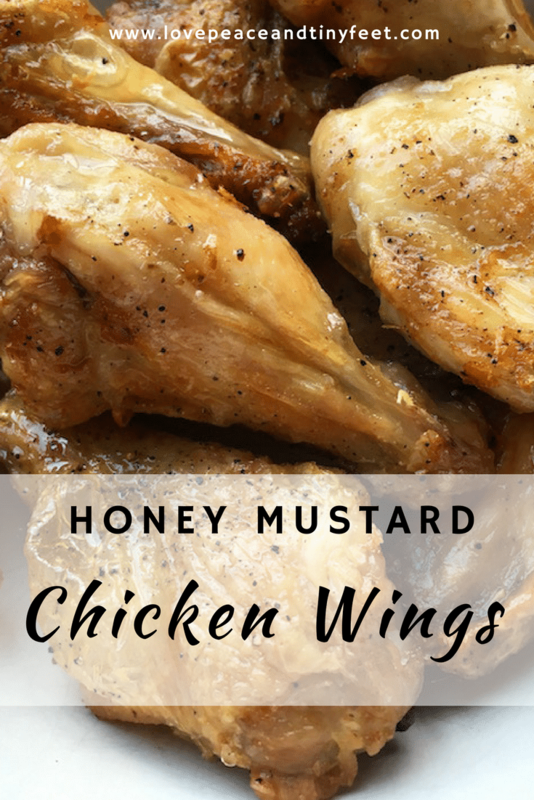 Chicken wings are such a great choice for casual outdoor gatherings because they are easy to make and are perfect for eating with your fingers. They are also extremely versatile because they can be tossed with any number of sauces or seasonings. 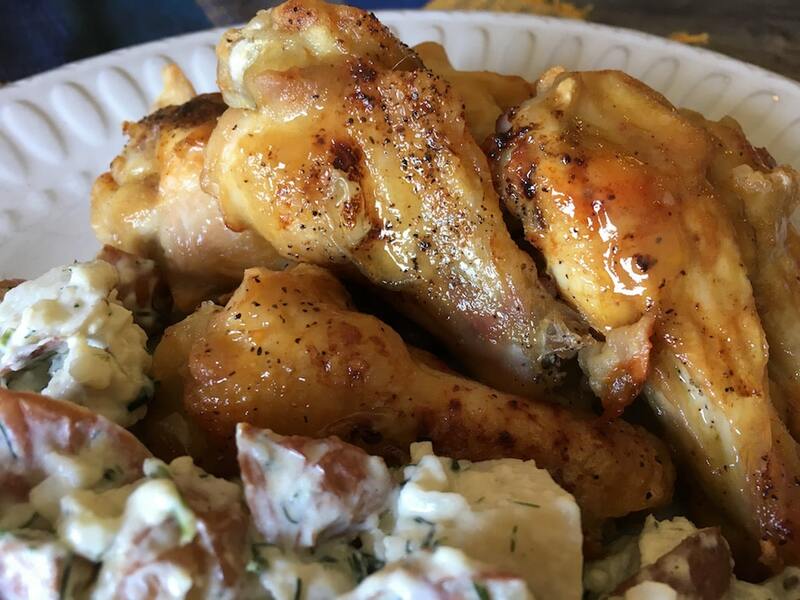 The honey-mustard sauce used in this version is delicious and it pairs beautifully with potato salad or other picnic-worthy side dishes. Line a rimmed baking sheet with parchment paper or spray with nonstick cooking spray. Add chicken wings to baking sheet in a single layer, not touching or overcrowding. Season wings with salt and pepper, then place in oven. Bake until skin is crispy, approximately 45 – 50 minutes. About 20 minutes before the wings are done, add garlic and butter to a saucepan and heat over medium high heat until garlic becomes translucent. Reduce heat to low and add honey and Dijon mustard. Stir to combine. Simmer for a few minutes, until honey dissolves completely. Remove from heat and stir in hot sauce, if using. Add the cooked wings to a glass bowl and pour honey-mustard mixture over them. Toss until coated and either serve immediately, or place on a rimmed baking sheet lined with parchment paper (or sprayed with non-stick cooking spray) and place under broiler for a couple minutes, until brown and bubbly. Serve with creamy red potato salad or your favorite side dishes.